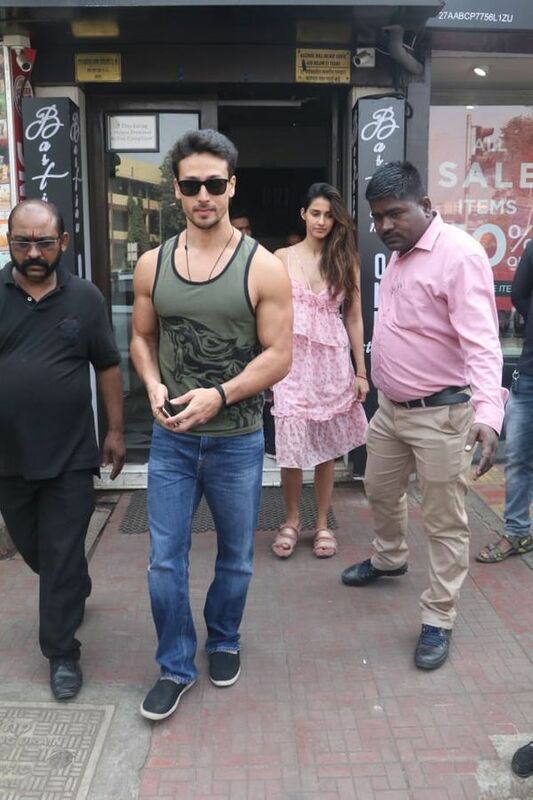 Tiger Shroff and Disha Patani make a handsome couple and there are no two ways about it! The couple, who have not officially announced their dating status yet, are often spotted on dinner and lunch dates and honestly, the pictures do all the talking. Be it the way Tiger leads the way for her or twins with her at times for the shutterbugs, their rumored romance is better than a lot of Insta-official ones in the industry. And it's no different this time. The lovebirds were papped arriving and leaving a joint in the city and it was reason enough for the cameras go click click click! While Tiger was in his ripped look, as usual, dressed in a green tee and jeans, Disha looked as fresh as a daisy in a pink floral dress. Coming to their work front, Tiger Shroff is presently busy filming for Karan Johar's Student Of The Year 2 which features debutantes Ananya Panday and Tara Sutaria. The high-school drama is set to release on May 10. Besides this project, the macho man has a dance film with his idol, Hrithik Roshan, lined up. Disha, on the other hand, will be seen in Ali Abbas Zafar's Bharat which stars Salman Khan, Katrina Kaif, Nora Fatehi, Tabu, Jackie Shroff, Sunil Grover in vital roles. The film is reportedly set to the screens on Eid this year.